Just got my D5 and I use it maybe once a week. For all the other days do I just leave it on the charger the whole time? I charged it once and took it off the charger base and left it. The entire battery drained in 8 hours which means to me that it was on the entire time. Is there a way to turn it off with our doing a hard reset? Should it have gone to sleep or something to use left battery? Just press and hold the Start-button on the bot (the only button) for a few seconds, till the battery-led goes off... this turns the bot off. The bot is intended to be kept on the charger (and charging) at all times. The instructions posted will indeed turn off the bot, but why would you want to take the bot off the charger? Ok if only used once a week, it can be saving energy if disconnecting from the charger and turning it off. Does it hurt the battery by bring on the charger and constantly charging? I noticed the D5 drains rapidly when the base loses power. I have the base on a smart plug that monitors energy use, but when the power goes out, it doesn't automatically turn back on when power is restored. I can confirm the D5 will drain within about 12hrs if it doesn't get power. The power draw is pretty minimal when left continuously connected. I'll post back here after getting a few more days of data, but I wouldn't bother powering it off. 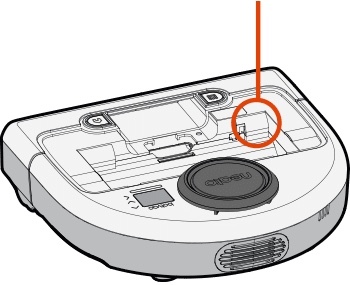 In order to prevent the battery draining quickly while off the dock, fully shutdown the robot by turning off the battery switch, which is in the space where the dustbin is (remove it to access the switch). I have no such switch. April fools joke about that switch? In the last 16hrs, the D5 has consumed 48Wh. In the last 4 days, the bot has consumed 261WH, or 65Wh/day. As I write this the bot is momentarily drawing 11w, which has tapered down to 9w. So far it's looking like about a ~3w continuous consumption that periodically gets replenished by the wall charger. If the D5 battery is 60Wh (I don't remember the capacity), it should go about 20hrs before completely draining. For a full shutdown, press and hold the start button for 15 seconds. You’ll know it’s shut down when it appears as offline in the app.